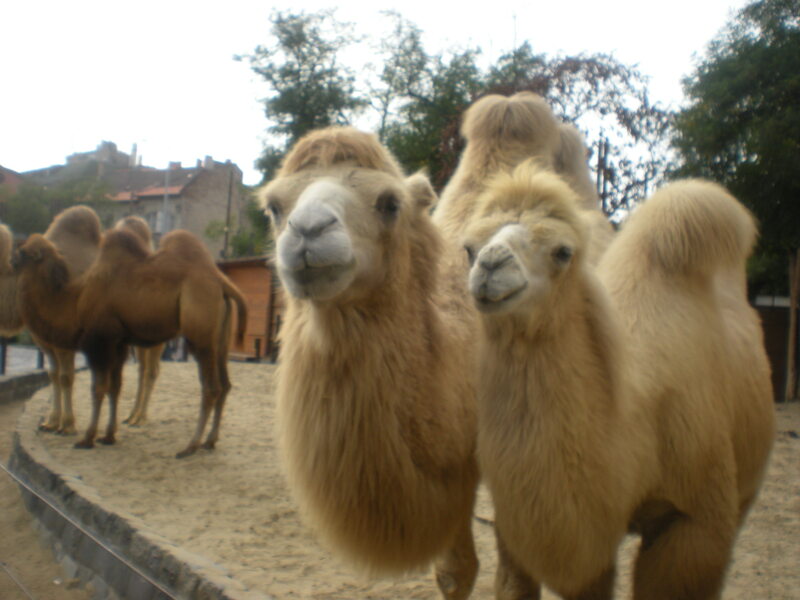 While here in Budapest, we decided to go to the zoo! Penguins, polar bears, camels, alligators, crocodiles, snakes, lizards, tigers, hyenas, monkeys, sloths (which we got to pet), bats, and tons of colorful birds of all size. There were exhibits of all of the continents, minus Antarctica, that had many different animals from those places. This zoo had SO many animals; we only listed a small number, and we only saw part of the zoo. One thing that wasn’t so great was that the animals habitats were far less natural looking than Woodland Park Zoo, and other zoos that we’ve been to. We got to pet these camels! This entry was posted in AIDAN, Willem’s World by Aidan. Bookmark the permalink.